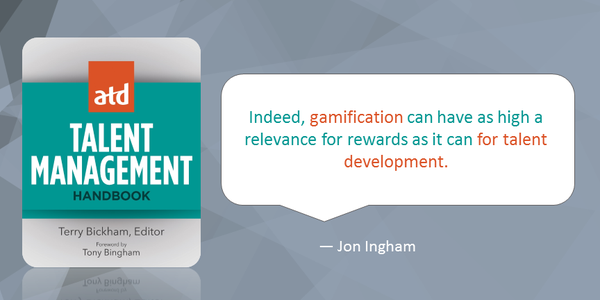 One of the other key trends in Reward and broader Talent Management I'd expect to see even more focus on next year is gamification, supporting a broader shift from financial to non financial reward. 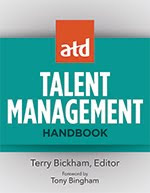 Here are some thought on this, also taken from the new Talent Management Handbook published last month by the Association for Talent Development (ATD) and which features a chapter from me on innovating reward (matching the existing transformation in talent development). We know that financial reward tends not to have as much impact as people often suggest so it often make sense to refocus on intrinsic reward by building a compelling environment in which people can become intrinsically motivated. Edward Deci and Richard Ryan’s self determination theory suggests that this requires an emphasis on autonomy, competence and relatedness. Dan Pink develops these ideas in his popular book, Drive, to suggest a focus on autonomy, mastery and purpose. Creating an environment which encourages these things is still not going to be easy but it may well be more productive to put time and effort into this than putting more and more money into financial incentives. To the extent that this is possible, the shift should also emphasize a move away from complexity and towards simplicity by aiming to pay people enough to get reward off the agenda (paying them what they are worth and ideally what is possible rather than just what you can be got away with) and then focusing on other things. 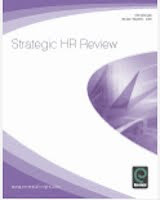 One particular approach which is worth reviewing is gamification which is one of the newest trends in business and HR as this can have high relevance for reward as it can for talent development. People engage in lots of other activities, including games but also other voluntary activities, for lots of reasons that have nothing to do with reward. 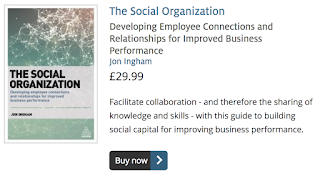 In fact, they are often much more engaged when they are undertaking these activities than when they are at work, even though they are not being paid to undertake them. Gamification uses the mechanics and components of games which make these activities fun and applies them to aspects of work to make these work activities more compelling too. The three main three mechanics are points, badges and leaderboards, also called PBL. Used inappropriately, these game elements can lead to unhealthy competition and dysfunctional behaviours however there are a broad range of game components which can be used. 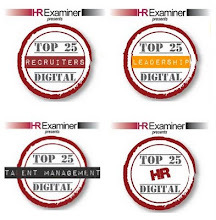 One of these which is highly relevant to the reward agenda is virtual currencies which can be used to help people measure their progress and achievement against their colleagues, and can be converted into something valuable for them at a later point, providing potentially greater motivation but without the same cost to the employer. Innovation systems are often based upon this mechanic. 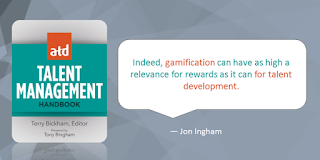 However gamification can also be about meaning, collaboration and many other mechanics which drive intrinsic reward for example allowing people who are successful in an activity to do more of this activity. One good example of a gamified approach is IGN which uses what it calls viral pay in which a proportion of profit is shared with employees through $1 tokens which can then be distributed throughout the workforce according to the wishes of each employee. 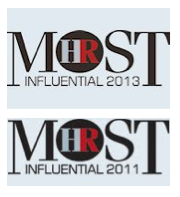 Although distributions are kept secret the company does publish the amount received by the most successful employees, as a way of inspiring other employees.